It appears that the Norwegian white supremacist terror suspect Anders Behring Breivik's manifesto against the "Islamization of Western Europe" has been heavily influenced by the kind of anti-Muslim rhetoric which is typical of the Nazi-loving Hindu Nationalists like late Madhav Sadashiv Golwalkar (1906-1973), and his present-day Sangh Parivar followers and sympathizers in the Bharatiya Janata Party (BJP) who currently rule several Indian states. This Hindutva rhetoric which infected Breivik has been spreading like a virus on the Internet, particularly on many of the well-known Islamophobic hate sites that have sprouted up in Europe and America in recent years. In fact, much of the Breivik manifesto is cut-and-pastes of anti-Muslim blog posts and columns that validated his worldview. Today, the Internet is swarmed by many hateful Hindu Nationalist posters who liberally quote from Islamophobic blogs and hate sites like Gates of Vienna and Jihad Watch. Golwalkar died in 1973. But Nazi memorabilia, including Adolf Hitler's biography Mein Kampf, are continuing to grow in popularity in India, according to the BBC. The marketing chief of Crossword, a national chain of book stores in India, told the BBC that Mein Kampf has "been a consistent bestseller for us." At Mumbai bookstores located in upscale neighborhoods, the Hitler book sales have risen sharply from 40-50 copies a year to several hundred copies annually in each store. It's not just the autobiography - books on the Nazi leader, T-shirts, bags, bandanas and key-rings are also in demand. A shop in Pune, called Teens, says it sells nearly 100 T-shirts a month with Hitler's image on them. In the United States, Charles Johnson is among the first post-911 bloggers who have inspired other "anti-Jihadists" to join the blogosphere, including people like Pamela Geller who led the Islamophobic campaign against what she calls "Ground Zero Mosque", and Johnson helped broaden the audience for blogs like Gates of Vienna and Jihad Watch. Hindu Nationalists regularly post comments on some of these sites and frequently quote from them on other websites to promote their anti-Muslim and anti-Pakistan agendas. After the tragedy in Oslo, however, Johnson is worried that his "anti-Jihadist" blogging campaign has inspired various violent xenophobic and extremist groups to promote their own agendas. He now says that these bloggers have "blood on their hands." He is quoted by Slate magazine as saying: "I don’t think there is an anti-jihadist movement anymore. It’s all a bunch of kooks. I’ve watched some people who I thought were reputable, and who I trusted, hook up with racists and Nazis. I see a lot of them promoting stories and causes that I think are completely nuts." Hindutva Terror Can Spark Indo-Pakistan War? Breivik was a far right saddist who has been arguing against multicultural Europe. And you somehow manage to turn this story into a hate commentary against Hinduism. Kudos !! I don't see any difference in your hatred towards Hindus in general and India in particular and Breivik's hatred of Pakistan. Like always, you have managed to pull out some random articles and concoct a hate story. I am actually more pissed because yesterday I argued against this hate agenda in support of the rights of Islamic migrants in Europe. And yes I am a Hindu - with many Pakistani friends. I hope you would publish this comment. Anon: "Breivik was a far right saddist who has been arguing against multicultural Europe." Yes, he is. But in his case, there is a strong Hindu Nationalist connection. "It is essential that the European and Indian resistance movements learn from each other and cooperate as much as possible. Our goals are more or less identical," he wrote in his manifesto. In the case of India, there is significant overlap between Breivik’s rhetoric and strains of Hindu nationalism – or Hindutva – on the question of coexistence with Muslims. Human rights monitors have long decried such rhetoric in India for creating a milieu for communal violence, and the Norway incidents are prompting calls here to confront the issue. “Like Europe’s mainstream right-wing parties, [India’s] BJP has condemned the terrorism of the right – but not the thought system which drives it. Its refusal to engage in serious introspection, or even to unequivocally condemn Hindutva violence, has been nothing short of disgraceful,” writes senior journalist Praveen Swami in today’s edition of The Hindu. Key takeaway point: Pakistanis always hone in on that topic whenever they talk to Germans. "We're Aryans too," they say, because there was an Indo-Germanic race, the Aryans. Besides, Hitler was a military genius, they add. 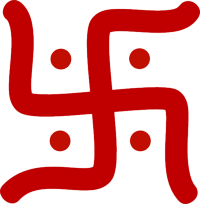 Hitler had both actual Hindu and Muslim collaborators. Hitler is as popular in Pakistan as in India. Historically, Hitler had both Muslim and Hindu collaborators. Finally the true inheritors of Hitler are the Pakistani auxilaries who killed innocent people in Chabad house attack in 2008 attack in Mumbai. Jews in India have been present for ever without any discrimination. Your deliberate avoidance of Hitler's popularity in Pakistan speaks volumes. sid rock: "Hitler is as popular in Pakistan as in India." There may be individuals in Pakistan who like Hitler, but you'd be hard pressed to name any Pakistani leader who has lavished effusive praise on the Nazi leader. It's very different from the situation in India where RSS leader Golwalkar has inspired a whole generation of BJP Hindu Nationalists to enact Hitler's "Final Solution" against Indian Muslims. "Ilhas Niaz, history professor at Islamabad’s Quaid-e-Azam University, says Hitler fares well in Pakistan in part because of a particularly Pakistani admiration for strong leaders. “The cult of personality is strong,” says Niaz. When “the current crisis cannot be met by any ordinary leader, people are looking into history for a charismatic ﬁgure.” Aurangzeb Nazir, a 24-year-old student in Islamabad, told Maclean’s, “Hitler united his nation and brought it from the brink of collapse to global prominence. That’s why we look up to him.” It’s certainly not a new phenomenon. One of Pakistan’s most beloved leaders, Zulﬁkar Ali Bhutto, also saw the 20th century’s most famous mass murderer as someone to emulate. “Bhutto had silver-bound copies of Mein Kampf in his library,” says Niaz. “He incorporated lines from Hitler’s speeches directly into his own oratory." ZA Bhutto one of the modern gods of Pakistan and a Hitler admirer. "I was glad I avoided the usual Hitler conversation. Pakistanis always hone in on that topic whenever they talk to Germans. "We're Aryans too," they say, because there was an Indo-Germanic race, the Aryas. Besides, Hitler was a military genius, they add. " It seems belief in racial purity nonsense is not an exclusive territory for Indians. sid rock: "ZA Bhutto one of the modern gods of Pakistan and a Hitler admirer." You are basing it on the opinion of some one other than ZAB. The fact is that there is no record of ZAB ever praising Hitler. And, unlike in India where Nazi memorabilia is growing in popularity, there is no evidence of it in Pakistan. Well the article credits not just opinion of a "somebody" but statements of fact from a highly credentialed Pakistani academic as source "Ilhas Niaz, history professor at Islamabad’s Quaid-e-Azam University". (ii) Bhutto included elements of Mein Kampf in his speeches. In a law court Prof. Niaz's statements would hold water as an expert opinion not as hearsay. And if they are wrong it will be very easy to disprove them. sid rock: "He makes very specific factual statements: (i) Bhutto kept a copy of Mein Kampf in his personal library,(ii) Bhutto included elements of Mein Kampf in his speeches." It's still one man's opinion based on what someone reads. Being a well-read man, I'm sure Bhutto had many other books besides Mein Kampf. Some people say he also owned a copy of The Prince by Machiavelli as well as a copy of The Quran. Others allege he was a fan of Napoleon. All of it proves nothing except that Bhutto read a lot. 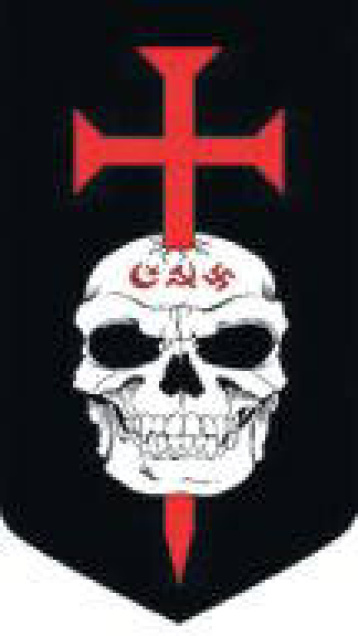 interesting turns out the artwork for the crusader cross of Breivik's organization was done by an indian company based in Varanasi headed by a muslim! We truly do live in interesting times! Mr Haq, you seem to be resonable man most of the times but not in this case. Muslims in India are much more safer and prosperous than minoroties in Pakistan. India has had president,chief justice, cricket captain, governors, industrialists from muslim communities population of muslims has grown faster then population of hindu majority. Muslims are allowed to practice and preach their religion in India unlike Pakistan where blasphemy laws are meant to harm minorities without any reason. Hindu overall are much more tolerant than muslims. Hindus are nor considered apostates when they convert to Islam in India. The law of the land protects them unlike Pakistan. I practice law in England and I can assure that in a law court Prof. Niaz's statements would NOT hold water as an expert opinion. What you quote are professor’s statements and that is all – since 9/11 a number of politicians have admitted to studying the Quran, have quoted from it and have copies of Quran in their personal library. So what does it may them. Muslims?
" It's the same people who routinely blame the entire Muslim faith for the actions of a few who claim to be Muslim. SO what should the media do when next Shehzhad Faisal or Nidal Hassan comes. Claim that they are not muslims. Does it matter whether they are called muslims. Their name is a giveaway right? DC: Does it matter whether they are called muslims. Their name is a giveaway right? Read my latest post to get your answer. We need to be consistent in labeling terrorists. If Nidal Malik Hasan and Faisal Shahzad are "Muslim terrorists", then Anders Breivik is a "Christian terrorist". how about some consistency in frequency too. How many "muslim terrorists" incidents happen compared to "christian terrorist". It is the frequency of such terrorism which made the west stereotype muslims. DC: "It is the frequency of such terrorism which made the west stereotype muslims." How about the death toll? Is that not more important than the frequency? In his rambling 1,500-page manifesto, Breivik voiced approval of Hindu nationalist parties and called for the deportation of all Muslims from India. He also berated the Congress-led government for "appeasing Muslims and, very sadly, proselytising Christian missionaries who illegally convert low cast Hindus with lies and fear". Hindu nationalist leaders have denied links with Breivik and some have sought to distance themselves from his actions. Others, however, have expressed sympathy with Breivik's ideas. "It is time we sit up and discuss issues like multiculturalism, immigration, [and the] problem of Islam's assimilation with liberal democracies without any malice," prominent nationalist Hindu leader Ram Madhav wrote in his blog. Former Indian MP BP Singhal, of the Bhartiya Janata party, was more forthright. "I was with the shooter in his objective but not in his method," he told the US-based Christian Science Monitor. Singhal said India and Norway should deny voting rights to "foreign religionists" in order to resolve "the bane of democracy". Here's a general response to a number of posters whose comments reflect extreme anti-Muslim bigotry based on utter ignorance. To get enlightened, I suggest that they look at Europl terrorism data for 2010. The Europol TE-Stat 2011 report appendix 2 shows that only 3 out of 249 terror incidents in 2010 involved Muslim attackers. Mr. Sarkozy may think it is smart politics to pander to racism and xenophobia. He has done it before. And, sadly, his harsh new tone has given him a quick boost in the polls. But it is damaging to French society. And it may prove a mixed political blessing in May. Many French voters already think that he lacks presidential dignity. Times are tough in France, but Mr. Sarkozy could have run a more elevated campaign. He has domestic achievements (pension reform) and international achievements (Libya). His main opponent, Mr. Hollande, has vague ideas and unrealistic economic proposals. Instead, Mr. Sarkozy has chosen the low road. At a packed rally on Sunday, he attacked European Union trade rules, which he said had opened French markets to “savage” competition, and called for a protectionist “buy European” rule for public spending that would raise costs and invite retaliation. He also threatened to suspend French participation in Europe’s 25-nation open border agreement unless others did more to keep illegal immigrants and refugees out of Europe. A few days earlier, he had attacked legal immigration, promising a 50 percent cut in admissions for family reunification. In a particularly vile gambit from a man who already brags about banning the burqa in public and Muslim-style street prayer, Mr. Sarkozy now pledges to protect French consumers from unknowingly eating halal meat, slaughtered in accordance with Muslim dietary codes. He called for legislation requiring all meat labels to note the slaughtering methods used. This proposal originally came from Marine Le Pen, the presidential candidate of the unabashedly xenophobic National Front. Mr. Sarkozy first rightly called it frivolous. Then he adopted it. Five million to six million Muslims now live in France, almost a tenth of the total population. It is cruel to keep family members from joining them and cruel and destructive to subject their religion to mockery. Ms. Le Pen is currently running third in the polls. Regrettably, Mr. Sarkozy has no problem being frivolous or cruel if it means he can peel away some of her voters. This video is about the grandson of our Great Leader (Quaid-e-Azam) through his only daughter Dina Jinnah. She chose to remain in India (when our Great Leader came to Karachi to build Pakistan) and her son (Nusli) grew up there. According to multiple credible sources on the internet, a number of bloggers are reporting that our Great Leader's grandson faced horrific discrimination and oppression in India after the creation of Pakistan. Apparently, the racist-casteist hindutva brahmins forced him to live of deprivation and poverty that was worse than the untouchables. When he could no longer bear the misery and asked for a way out of his poverty, they made him an offer of huge sums of money if he would act as their agent and malign his grandfather (our Great Leader). As you can see in that propaganda video, the hindutva fanatics are forcing him to lie that our Great Leader ate pork-bacon every morning, drank scotch-whisky every evening, and chain-smoked all day long-- exactly like a typical Englishman. They are clearly trying to spread lies about our Great Leader that he was not even remotely a good muslim, and that he was a throughly-westernized Anglophile who had contempt for the tenets of Islamic Law. They are always pointing to his lavish life-style amidst the backdrop of a very poor country, where he had a thousand Saville-Row suits, never wore the same imported tie twice, and lived in a palatial house full of servants on Malabar Hill in Bombay. They also conjure up doctored Photos that show the Mother of our Nation (Madar-e-Millat)wearing a hindu saree. We know this is impossible, because muslim women never wore sarees and sarees cannot even be seen anywhere in Pakistan. But the media spreads these faked photos just to show that the Mother of our Nation, Fatima Jinnah, was not a good muslim. I have also seen insidious hindutva-brahman websites that question how the sister of the Father of the Nation can be the Mother of the Nation, and then deviously ask what was the real relationship between the two? As you can see, the brahmans go to venomous lengths to spread these falsehoods about the foundation of our great country. But they never speak about the uncomfortable truths about the founder of their own country. For example, they never point out that Gandhi learnt to love roast-beef when we was living in London. They always cover up his lavish lifestyle where he lived in the palace called Sabarmati-Ashram Mahal and ate beef-steaks with a fork and knife every evening. This propaganda coming out of our Eastern Neighbour is now overwhelming. Our whole community here has started to question the very basis for the existence of Pakistan. We are being fed these lies by the Hindutva-Zionist-controlled Media every day. We need to fight this now. Otherwise it will be too late. Can you do a blog article correcting these misperceptions about our Great Leader. Something that sets the record straight that he never ate pork, never drank whisky, prayed five times a day and cared more about what was good for the poor Indian muslims rather than about what the English Upper-Classes and Waderas thought of him. It would also be good if you could set the record straight on the bisexual nature of Gandhi, his deviant behaviour with his niece, his hate-filled & communally-divisive world-view, his expensive Saville-row suits and ties, his palatial lifestyle surrounded by servants, and his anglophile roast-beef eating habits. Nidal is Muslim But Breivik is Not Christian? India- The World's Biggest Oligarchy? Saudi Prince Funding Hate in America?